The RAPpro™ is a hot mix asphalt production plant designed specificity to produce high quality mixes utilizing 100 percent recycled asphalt material. With the energy efficient multi-tube indirect heated configuration high RAP content mixes are produced without blue smoke and without the need for a bag house. 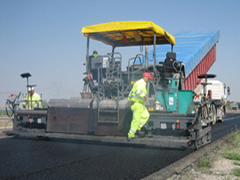 Asphalt Rubber or Rubberized Asphalt is a process of blending crumb rubber produced from recycled waste tires into liquid asphalt cement (bitumen) to produce an extremely resilient high performance, modified binder that is used in the paving process. We manufacture specialized equipment for this process. PelletPAVE is a high performance, engineered binder enhancer made of a unique blend of premium quality asphalt cement, crumb rubber made from recycled waste tires and other special additives. This material is produced in our proprietary pelleting process for easy and economical storage, transportation and use. 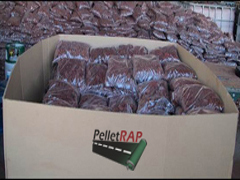 PelletRAP is a high performance asphalt rejuvenator made of a unique blend of premium quality asphalt cement, crumb rubber made from recycled waste tires and other special additives. This material is produced in our proprietary pelleting process and packaged in convenient to use meltable 5 pound bags. 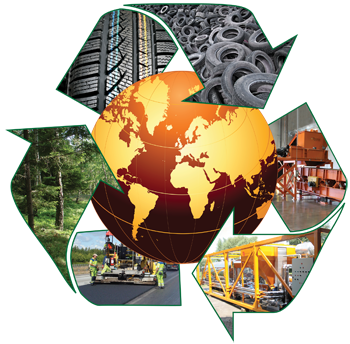 Phoenix Industries is a leading innovator of equipment and materials for the modified asphalt industry. 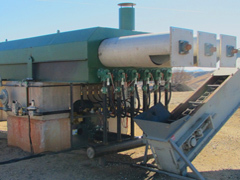 We manufacture a line of asphalt rubber blending plants as well hot plants specifically designed to produce 100% RAP mixes. Phoenix Industries also produces and sells a line of pelletized, rubber modified binder additives which are used in a variety of paving applications. With having equipment in over a dozen countries, our team has real world, hands on experience to make your project successful. We understand the importance of quickly getting a plant up and running and minimizing down time for repairs and maintenance. Our parts and field service personnel are highly trained and have the resources to help our customers get their plants running and keep them running at peak performance. Phoenix Industries can fulfill even the toughest project requirements.